Our experts will clean your air ducts to perfection! What's The Importance Of Duct Cleaning? Most people tend to simply take their air duct system for granted, and not put much thought into it. However, for the health of your family and sake of your wallet you may want to take care of it more! Most homes have either AC or heating going to keep things at a comfortable temperature throughout the year. Unfortunately, this process brings in more than just air in to be dispersed through your house. Dust and other substances will also be brought in, and start to build up over time. Dirt is then easily blown through your home every time the system is used. Poor air quality due to the dust can cause numerous issues, for those with and without breathing disorders. People who have asthma or any other types of breathing problems are already particularly at risk for health issues. Even those who are simply older, or young children, can be negatively affected. Allergy sufferers are bound to deal with itchy, watery eyes and irritated noses. However, even those who are perfectly healthy will still find themselves fatigued due to contaminated air. Aside from health, your energy costs also play a part. Pounds of substances could be backing up your ducts! This makes it much harder for air to pass through, and more energy must be used to do so. It also can put your furnace and other components at risk of weakening over time. 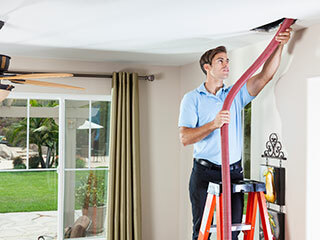 Our professional team will happily come out quickly to your home to get your air ducts cleared out and like new again! Using the highest quality tools available, we’ll dislodge the build up of dust and vacuum it up to be disposed of. Allow The Professionals To Handle It! If not done right this process can cause cross-contamination, and worsen the air quality. That’s why it’s best to call Air Duct Cleaning Francisco, and let us take care of things for you!